It’s not all about sightseeing in Halong Bay, there’re many exciting activities to join here. And as one of the most beautiful bays in the world, Halong also offers visitors some great beaches. 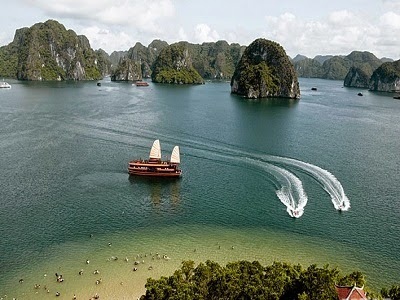 Here’re the best five beaches in Halong Bay. 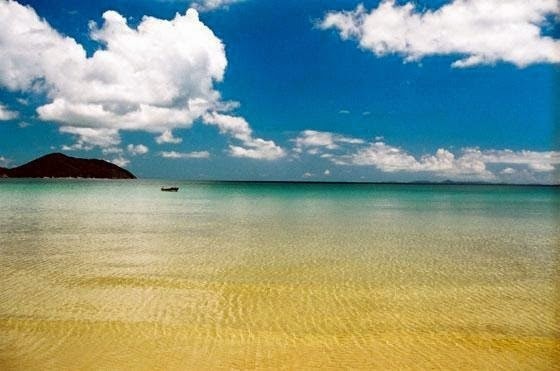 Located on the idyllic Tuan Chau Island, this beach is 8 kilometers away from the tourist harbor. Despite being a man-made beach, the 2 kilometer stretch of soft white sand here is ideal for either swimming or just lay back and relax under the sun. Moreover, if you opt to stay at Tuan Chau Island, you can participate in several other outdoor activities such as hiking, camping on the national park which is full of pine trees. Titov is 14 kilometers to the east of Bai Chay. It has its name thanks to the visit of Ho Chi Minh and a Russian astronaut named Gherman Titov in 1962. This beach has a curvy shape like a half moon. The sand is rather short but very pristine and not crowded. The waters is clear and blue all year round. 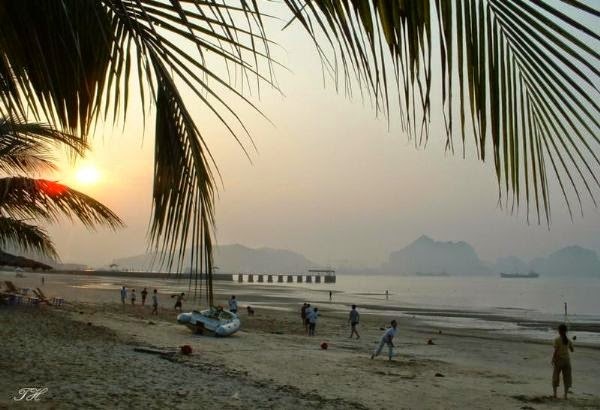 Recently, Titov has seen some good developments for tourism, thus promises to be one of the best beaches in Northern Vietnam in the near future. This is one of the far-from-dry-land beaches in Halong Bay and possesses a long stretch of sun-kissed yellow sand. Like Titov Beach, the waters here is blue during four seasons and still remains unspoiled. Seafood in Ngoc Vung Beach is also very famous. They are fresh catches provided by the fishing villagers themselves. 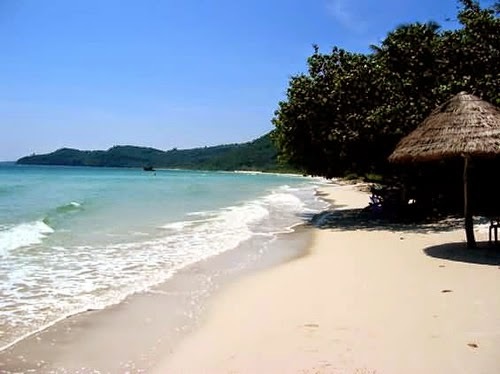 Located on the picturesque Quan Lan Island of Bai Tu Long Bay, 55 kilometers away from Halong City, this is an untouched beach which has high ecological values. Just behind the beautiful sand here are the verdant lines of pineapple trees and casuarinas. Nestled within those tree lines, an eco resort is about to be open soon on Quan Lan Island. Another man-made beach complete our list. The name Bai Chay can be explained in a historic story. This is where the supplying ships of the invading Mongol force was attacked and burnt by Vietnamese people in the 13th century. Some burnt ships were drifted into the island, setting the forest along the beach on fire, hence the name (Bai Chay in Vietnamese means “Burning Beach”). Bai Chay Beach is only 500 meters long but about 100 meters wide. Of the five beaches, this is the most crowded yet vibrant one. It is packed with several restaurants specializing in seafood, a water-puppet theater, a traditional music theater, a theme park… There is also surfing and motorboats for those who love sports.